An Oregon-based bank retreats from the Colorado marijuana market, an entrepreneur reveals plans to open an unlicensed dispensary in Alaska, and the nominee for U.S. attorney general comes out against cannabis. 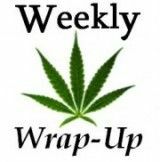 Here’s a closer look at several notable developments in the cannabis industry over the past week. Many marijuana business owners were disappointed this week when Oregon-based MBank decided to pull out of Colorado – just days after announcing its intention to enter the market. Some observers speculate that the federal government was behind the move. “This screams ‘federal regulator calls MBank and says we’re going to cut this off if you don’t stop what you’re doing,’” said Jason Katz, a partner at Denver-based LoPro Consulting. The news even spurred U.S. Rep. Earl Blumenauer, D-OR, to send a letter to the FDIC requesting clarification on whether federal regulators interfered with MBank’s plans. Many companies are trying to solve the banking problem, but the issue likely won’t be resolved unless there’s a policy change in Washington DC. “Until there’s a real change – rescheduling (of marijuana) or change of banking policy at the federal level – none of this is going to surprise me. I actually think it’s going to continue to be the standard,” Katz said. ‘Pretty Stupid’ Move in Alaska? Reporter-turned-cannabis-entrepreneur Charlo Greene is still good at making headlines, both in her home state of Alaska and beyond. She first came to prominence last September, when she sensationally quit her television reporting job during a live broadcast to support Alaskan legalization efforts. Now, she’s turning heads with her newest venture. Greene essentially announced plans to open a psuedo-dispensary in downtown Anchorage on Feb. 24, the day possession and consumption become fully legal in the state. The club will operate as a nonprofit, and allow members to make a “donation” for MMJ edibles and cannabis. She’ll also allow recreational cannabis users to essentially exchange marijuana with each other. Some industry insiders say that Greene’s not only facing legal risks herself, but that she’s also unnecessarily creating bad will with regulators who could have oversight of her business in the future. Even though Alaskans voted last November to legalize recreational marijuana, state and local officials are still in the process of setting up regulations for cannabis stores. On top of that, MMJ dispensaries are still illegal. Greene thinks she’s found a legal way around that, telling the Alaska Dispatch News that she’s sure she’s on solid legal footing. Even so, observers say she should either wait for regulations to be established or start up an alternative business. When attorney general nominee Loretta Lynch told a U.S. Senate panel this week that she opposed the legalization of marijuana, cannabusiness owners started squirming. If Lynch is confirmed, it will create a host of questions about federal marijuana policy. Will the government look to crack down on the marijuana industry again or start meddling with states that have legalized some form of cannabis? Will Lynch stifle recent progress at the federal level on marijuana-related issues? Will her appointment dash hopes that the government will reschedule marijuana anytime soon? There’s little clarity on these questions at this point. Outgoing Attorney General Eric Holder, though not an outright fan of the industry, has backed off the cannabis business in recent years. He stood aside when Washington State and Colorado decided to go ahead with recreational marijuana, and didn’t pick a legal fight with the states even though he could have. He also tried to make it easier for banks to work with companies that cultivate and sell cannabis. If Lynch is confirmed and decides to take a firm stance against cannabis, she could definitely make life more difficult for those in the industry. Or she could simply be playing politics right now to make sure she’s confirmed by the Senate, and then continue Holder’s more moderate approach once she assumes office. Of course, Congress recently forbid the DOJ from using federal funds to interfere with states setting up marijuana laws. That law may herald an end to federal intervention regardless of who takes the attorney general post. On the other hand, it might just be a simple legislative hurdle that a hardline anti-marijuana attorney general could sidestep. …I have confidence the both medical marijuana and industrial hemp will survive this most recent flurry as they do not appear to threaten the liquor industry to any great extent. I would bank on the booze lobbyists to put a lotta cash money in the lawmakers pockets to see to it that their profits are not stifled by the introduction of a safer and healthier means of recreation. Loretta Lynch may or may not have her pulse on the nation, but her firm resolve in keeping marijuana illegal only serves to profit an industry that has contributed more serious and damaging health maladies and deaths than marijuana ever will, considering that the innocuous plant accommodates our endocannabinoid system in helping to prevent the very diseases that liquor have been proven to cause. Vigilance is important, but education of the public is more critical now than ever. …and I do think that the time may be more than ripe for an amalgamation of hemp and marijuana growers and merchants to attempt a bank or credit union of their own until such time as the Federal government comes to the realization that this industry is an honest and legitimate one that provides employment and income for many even now and taxes that help states sustain the economy in a most positive manner. The DOJ is a nest of ignorance and government bureaucrats who have been obstructing justice for 40 years, just to keep sucking checks. They say there is not enough science to make cannabis legal but where is the science that was used to make marijuana illegal? It does not exsist, the pot laws are all lies. Loretta Lynch is a fool. As a black woman she should be well aware that cannabis was made illegal by demonizing blacks and the entire case was built on lies formed out of racism. It was Louis Armstrong, the first well known individual to get arrested for marijuana and the police targeted black jazz musicians as a means to get whites to lobby against cannabis. Loretta Lynch…SHAME ON YOU LADY! You protect laws built on harm of your own people! Its well known blacks get jailed 4x more than whites for marijuana amd you want it illegal???? Lady, seriously…get it together.